A magical day of play and discovery! …a day of creative play and energy work! Through this meeting Leanne and I are collaborating on some informative and transformational events that are coming up in August. I wanted to share with you, my faithful friends what I am offering. 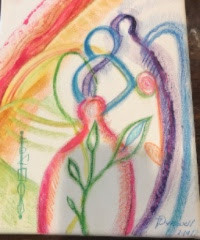 I have wanted to reach out to the healing community while we are here and this will be a great way to share in Leanne’s talents and to do soul paintings as well as attune people in the Reiki I and II. I have over the years seen such healing and transformation that it is time to offer these gifts of light once again. August 5th 10 – 11 am. This complementary session is offered by Leanne Holitza and Teresa Dunwell to put you in touch with the powerful world of energy healing and how you might benefit. Teresa will offer a talk on the grace and importance of the Akashic records during this time in our evolution. She will help you to understand the Akashic records and soul painting, what they are and how they can help you in this lifetime to release habitual blocks that have kept you from living your life to the fullest, and integrate this understanding into your awareness. This is done through the grace of forgiveness and empowerment which is translated into an understanding of the creation of a soul painting. Leanne will talk more about how your belief systems and your subtle conversations your energy has with the world, impacts what you experience and create in your life. She will cover a brief idea on how to get started shifting things. Reiki I and II workshops will be taught together as it is increasingly been proven that this gives each student more comprehensive skills to not only use Reiki for self-improvement but also allows them to help others right away. The workshop size is kept small (3-6 people) to provide more attention to each student to make sure YOU get all the attention you need. You will learn Reiki I and Reiki II with Teresa Dunwell who is not only a Reiki Master Teacher, she is also an Akashic Level III reader, Magnified Healing practitioner and soul painter. She has practiced in the Lafayette/Boulder/Denver community for over 20years. Cost: $375, spot reserved after payment is received. Materials provided. 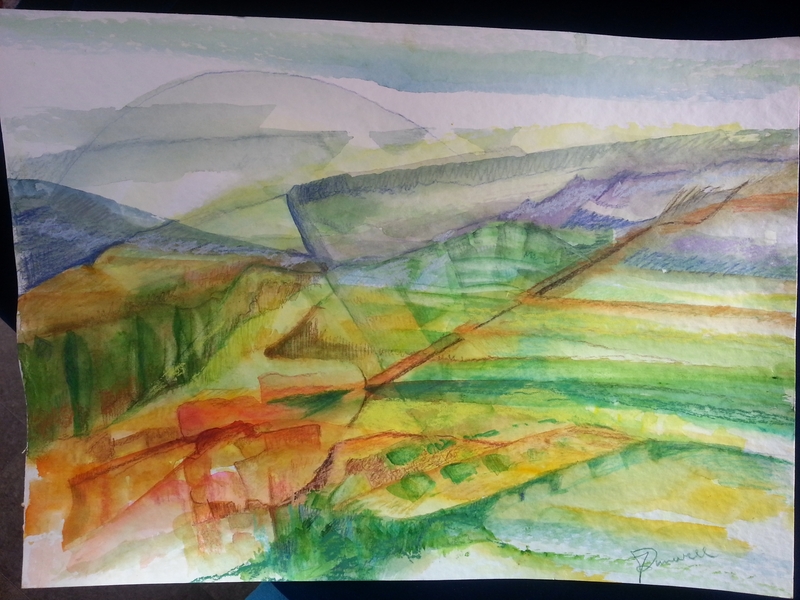 I muse….unsatisfyingly and prepare to paint. There is no measuring up or comparison to these great Masters and yet the doubt in my self makes its timely arrival once again. 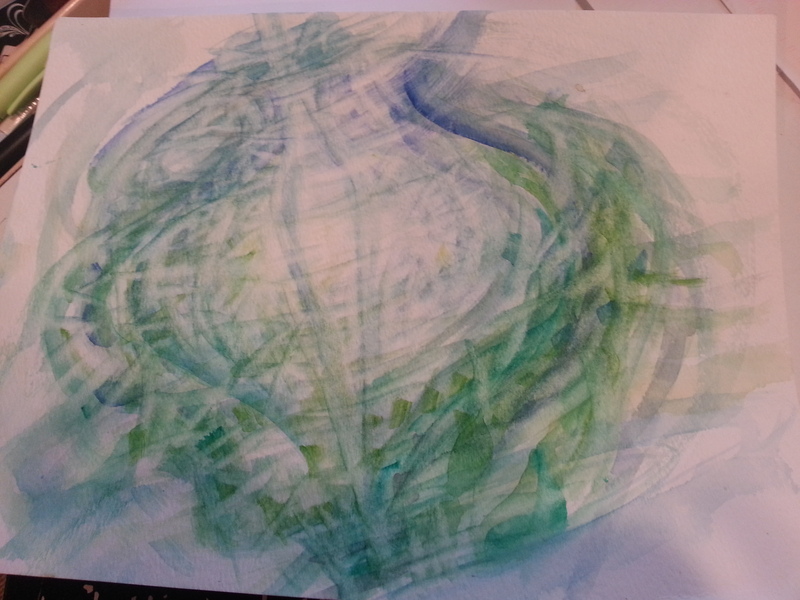 I pick up my brush and offer to be an open vessel for Spirit. 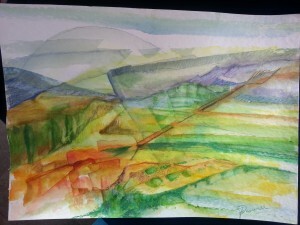 The painting begins to flow….the valley, the hills, feeling the freedom of just painting for the joy in it. 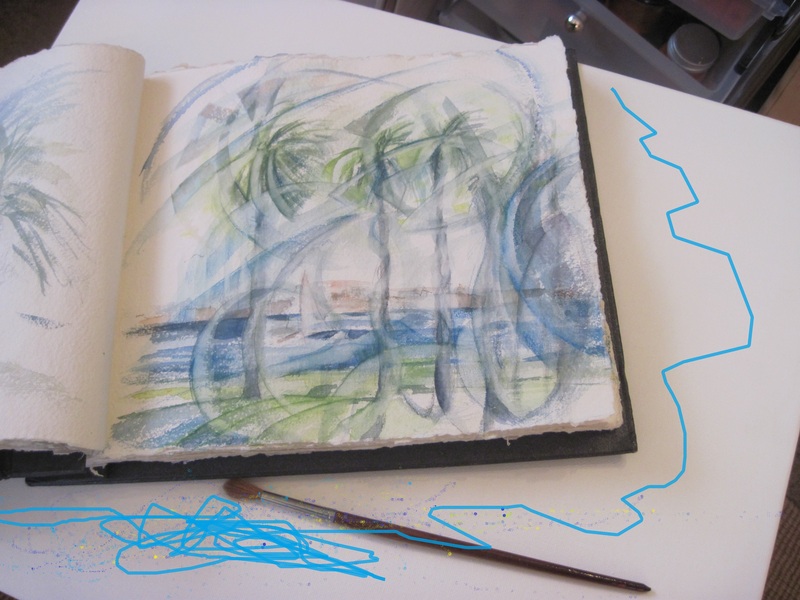 Music is playing as my brush moves across the paper and suddenly a hand is revealed…that great aha…… then a line becomes the brush and the landscape becomes the palette. All of this under my watchful gaze has taken form quite to my surprise. As the hand appears, I am reminded, once again, that there is a mysterious, incredibly beautiful guiding force. Something that breathes life into everything and gives each of us a “hand up” in life. This guidance helps us to re-member that it is our soul’s purpose and greatest delight to find our authentic voice and there is mystery in that so deep and so profound that our consciousness has a hard time excepting this formidable truth. and so……I shall create for the joy, the love, the freedom in each moment and know that by living my joy and my passion, my path will be made clear and I will be guided by that loving mysterious hand.
. I am not Picasso or Michaelangelo…I am Teresa. Have you ever received a hug so grand that you felt loved by the whole of the universe? I have a dear friend who offered this to me in a moment of not knowing what the heck I was up to and belaboring my decision to take this next giant step and move! She came over on this particular morning just to give me a hug. She did not know that at that particular moment, that is what I needed the most. Through that hug, I have to say, I felt embraced with an instinct that no matter what, in every cell of my being I was cared for and that all was perfect in the chaos. With every step that I take on this new path, I am steeped in the awareness of this infinite connection with everything and everyone. 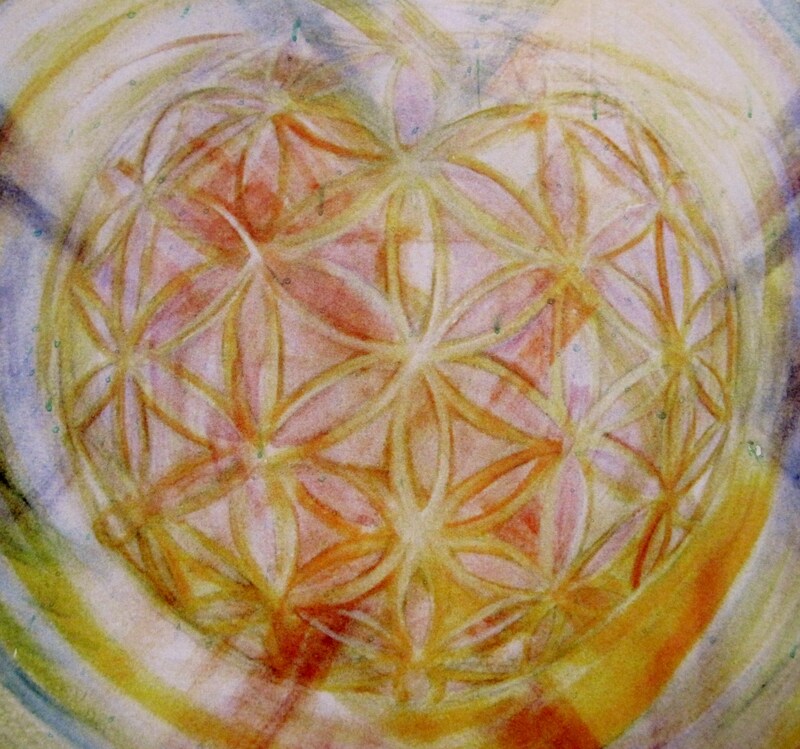 This morning I am reminded that this connection feels like a painting that I did over 15 years ago named the Hologram of Love or at times referred to as the Flower of Life. 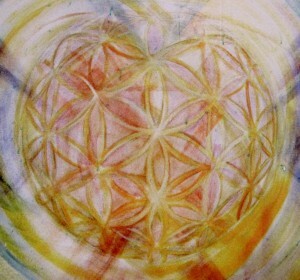 As I walked I could feel myself shifting my awareness back and forth within the Flower of Life image. The sounds of nature, the birds, wind, the gravel underfoot became color, the deafening welcome stillness in my spirit became the web of light that makes up the painting. This 6000 year old symbol was first discovered in Abydos Egypt. 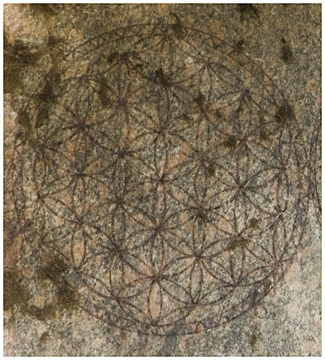 The Flower of Life is carved with laser-like accuracy on huge granite blocks in the temple walls and even through modern methods we are not able to replicate the delicateness of this pattern today. The temple was a subterreanean complex dedicated to Osiris, the god of the Afterlife, symbolizing death and regeneration. I am feeling inspired to paint from within this image! Stay tuned!!! For those of you old enough to remember it, this title is taken from a really cool song done by Sam & Dave called “Soul Man” . It has a very upbeat 70’s tempo and full of syncopated surprises. You can even hear the trumpets and horns proclaiming the “coolness of motown”. This post is dedicated to the “cool” in a great being of light named Marty who allowed me to photo him with his new painting. 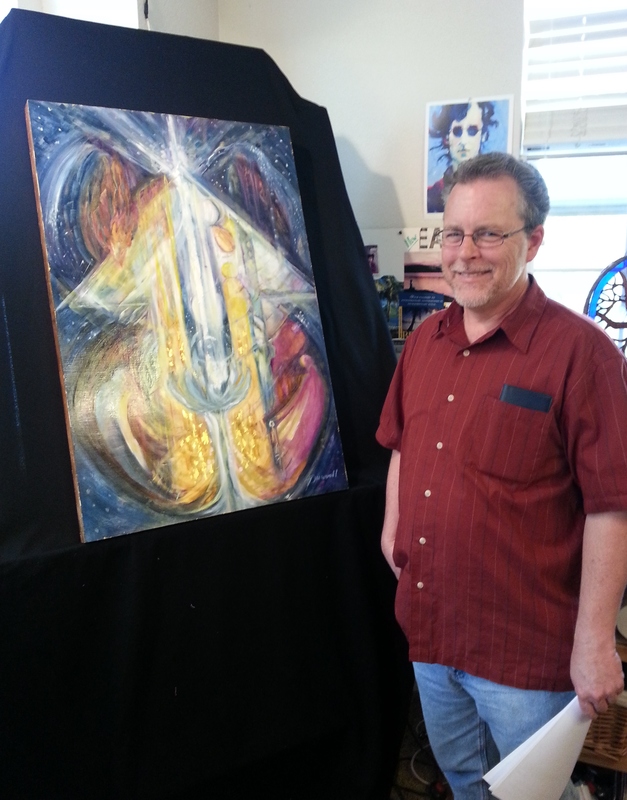 Marty and I began doing some Akashic energy work together and it led to this dynamic representational soul painting of his powerful energy. Each painting that I do is so unique to the individual. Like an energetic tarot card it resonates with the vibration and frequency of ancient energies as well as working with the soul in its transformation process. 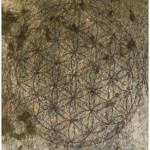 The paintings have been described as portals that can assist others in re-membering their divine purpose and awakening them to their talents and abilities. I have a feeling that it will take lifetimes for some of these paintings in soul to express their true content. Of course, it gives me such great pleasure to serve others in this form, combining the “veiled oil” painting and the energy work. I am just the channel for whatever colors or designs wish to come through as I believe from the minute the patron decides to have their painting done, the energy begins to percolate. A vision held for 12 years has come true!!! Viva Andalucia! In the luminous landscape of the outer journey! 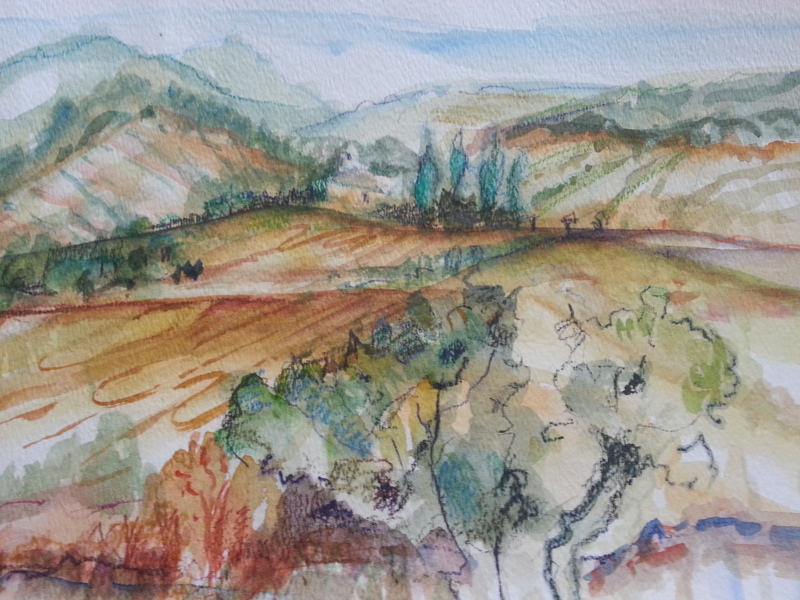 The hills of Andalusia! 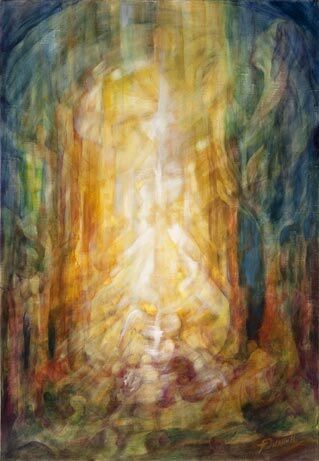 Mystical visions… they hold a spark….undeniably special and profound. They hold an immeasurable tendency to reorganize your whole way of being in the world. 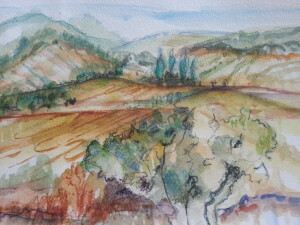 This wordless vision was the energy of “Andalucía”. Today I stand as living proof that what you hold in creative awareness can manifest delightfully on this plane of planetary juiciness. I have just come back from a months stay in Europe….visiting Switzerland, France and Spain….and yes “Andalucía”. I have received the greatest of gifts in knowing and surrendering to the fact that language does serve its purpose but the heart breaks through all barriers among people and cultures. As I do not possess the languages of French, Swiss or Spain in my repertoire, I found this out very quickly. My way was continuously studded with angels as bright jewels in a foreign landscape to lead me to my next destination through the regions of Francais and Espana. I am eternally grateful for how the Divine manifests such perfect balance and freedom as I navigated the narrow streets of southern France, the metros of Paris (egads!!) and the generosity of the locals in the mosques and churches and streets of Spain! the freedom of complete aliveness and sweet surrender. 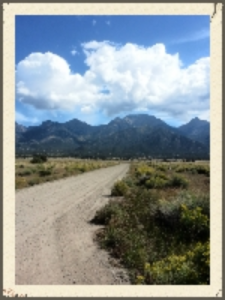 I am grateful for the journey and all the beautiful people who crossed my path on the way. More is to be unveiled…of that I am sure……right now I am enjoying the “joie de vie” and the visions and promise of new paintings! One truly knows they are in relaxation mode when the painting journal is resurrected and there is both the time and the creative energy to paint to my hearts content! Fort Meyers Florida is an amazing place of strong gulf coast breezes and radiant sunsets to fill the heart and the soul. Jon and I encountered many angels along the way, specifically in our dear longtime friends, Steve and Maggie. They are so very gracious! I just might have to succumb to the snowbird magic and take up part time residence to explore and paint. In Florida, the colors are radiant bursts of light in form and vibrate with the songs of the many birds that Jon and I had the privilege of viewing in their natural homeland waters. There were a plethora of pelicans, cranes and my very favorite blue herons. The tree aviarys on the water (cannot for the life of me remember their actual name) are vibrant with spots of color in the shape of many feathered friends. We also were blessed to see manatees, dolphins and to my delight… no gators, even though I saw many alligator and turtle crossings. This small watercolor painting, from my journal was done in front of Steve and Maggies house, where daily they wake to an incredible view of the Collusahatchee River from their front porch! Palm trees, long walks, and the sound of water lapping against the docks rocked my soul deeper and deeper into the quiet of what a vacation can truly be when you have no agenda and no serious timelines to be on the go. This was a magical, creative, spiritual experience of healing and joy. I am grateful to this Divine oneness that holds all of us within this silence. No doubt about it….we will return to this tropical haven. Stepping outside the Valentines box for a real treat! 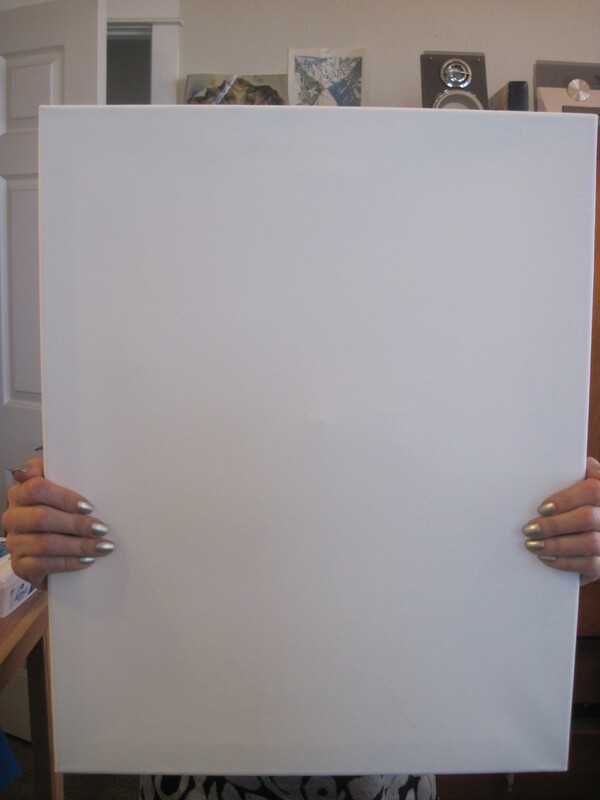 Come and See what’s on your blank canvas????? Dear friends visioneers and imagineers! I am thrilled to announce that I am offering a soul painting and reading through Living Social.com this February 14th for only $40. I can think of no better way for celebrating and honoring your amazing self by checking out this offer! I love the idea of new and old faces knocking at my door at Community Holistic Health Center as this is such a time of great expansion and clarity. Come play in the colors with me as I create your special visible reminder of your loving spirit!!!! This could be as good as chocolate haha! Celebrate the Healing Power of Art! Mine was one of 44 works chosen by the jurors from more than 800 Entries! I am so grateful to be part of the amazing gallery and have the opportunity to share healing art. When I let go into the process of painting and engaging in this Renaissance glaze technique (veiled oil), I feel that I’m entertaining the fullness of creative self-awareness. I’m expressing enlightenment in my response to the world, holding sacred space so that awareness can be shared with others. What a perfect venue to do this. I am also very much inspired to host classes for those who want to deepen their painting and touch inside themselves the Spirit within by reflecting that on to canvas. I enjoy and am honored to engage in this special process with students to achieve not only an amazing piece of work, but a clearer understanding and closer relationship to the Universe through these programs. What part of you needs to be acknowledged? Living Works Studio | Powered by Mantra & WordPress.